Economic hardship and remote bush locations forced people to creatively reuse materials. This shelving is made out of old wooden cotton reels and timber planks from packing boxes. 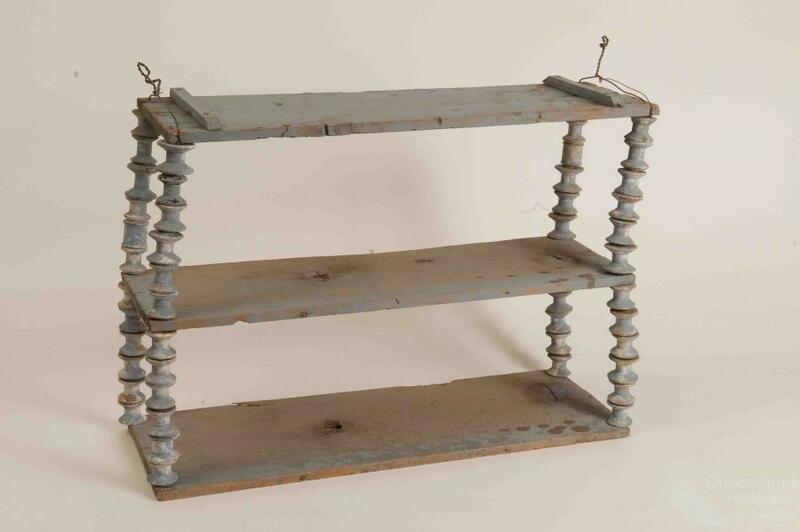 Description: Blue painted three shelf unit constructed from long wood planks, cotton reels, nails and wire. Planks form the shelves while the cotton reels, strung and supported with wire space and prop the shelves. Shelves are 6 reels apart from each other. Some wood planks have printed text on them possibly from the wooden boxes.